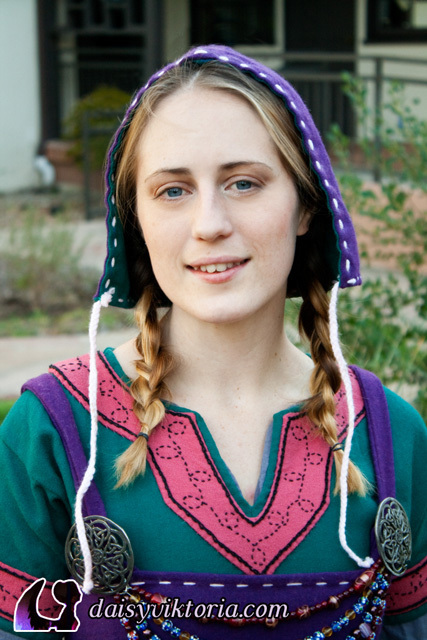 There are three layers in this Viking ensemble, the under tunic, the tunic, and the apron dress. 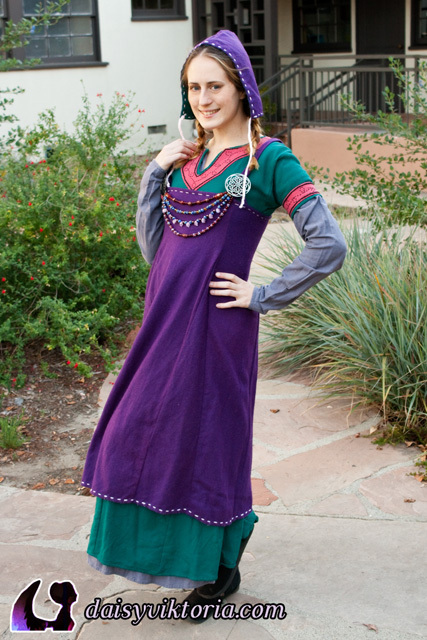 The undertunic is linen, and the rest is all wool. 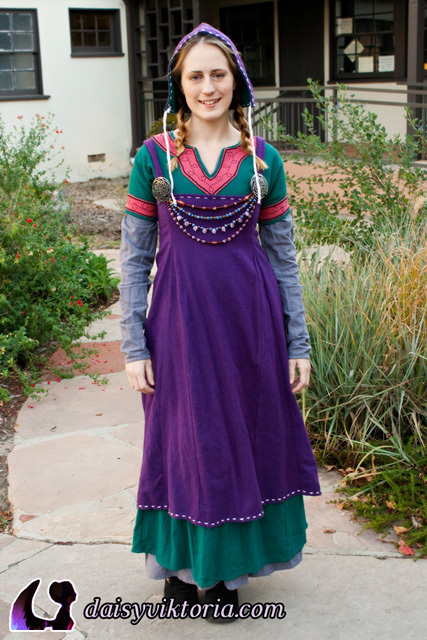 The tunic features hand embroidered accents along the neckline and sleeves. 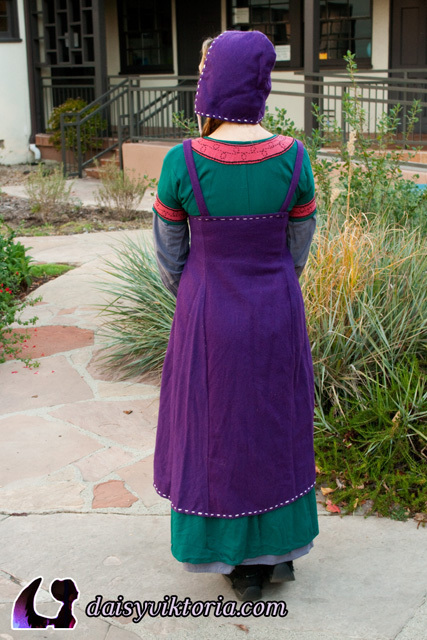 The apron dress and the coif are also accented in simple embroidery.